EVERY TIME I drive up or down the Summit Connector and negotiate that bottleneck at the hairpin turn, I dream of the Singh Street Bridge. I guess I can stop dreaming. 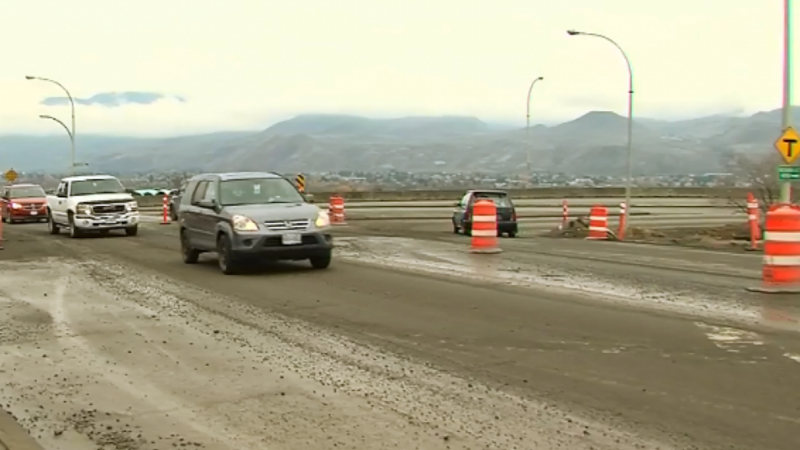 The bridge is suddenly gone from the Kamloops transportation master plan, relegated not just to the back burners, but right out of the kitchen. As of Tuesday, it’s been dispensed with in favour of a possible crossing further west, with no timeline or commitment. The Singh Street crossing, for decades cemented into city planning like a steel re-inforced concrete pylon, was supposed to come about when the population of Kamloops hit the magical threshold of 120,000 residents. A new road somewhere near or on Domtar present property to avoid all heavy truck traffic through the downtown and a bridge to the North Shore near the airport…it has to be done soon! I have been worried lately, I’ve agreed with several of Mel’s recent editorials (we call him the Rocking Chair Mayor). This one however leaves me bewildered. Where have you been the last ten or twelve years Mel? The North Shore Community plan identified the futility of the Singh Street crossing and that committee was probably not the first to do so. The city has been holding the homeowners on that corridor up for ransom for years over a bad idea that was never going to be realized. While it was not, to my knowledge, included in the north shore plan, a lot of discussion at those meetings was a crossing near the airport, a location which makes much more sense than Singh Street both for convenience to upper Sahali and Aberdeen but also for cost of both land acquisition and displacement of homeowners. The project remains a long way into the future and may be totally redundant by the time the population reaches 120,000 (Tesla will have flying electric cars by then falling from the sky). At least now the Singh Street homeowners can get on with their lives, some subdividing and others developing their front yards. You can also save yourself some grief on that corner by doing more shopping on the north shore and using the Halston to get home.